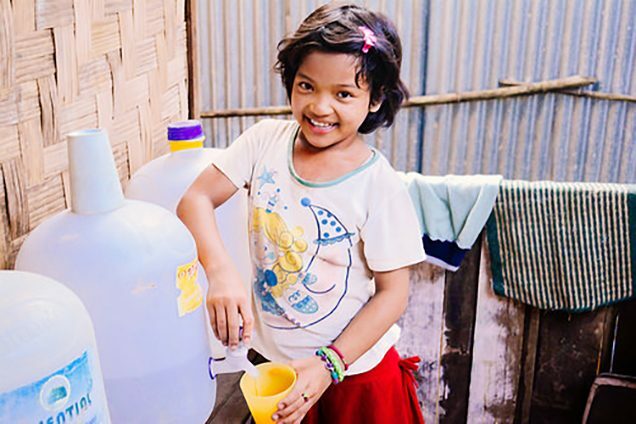 Photo: A girl at one of our orphan homes is happy to have access to clean water. 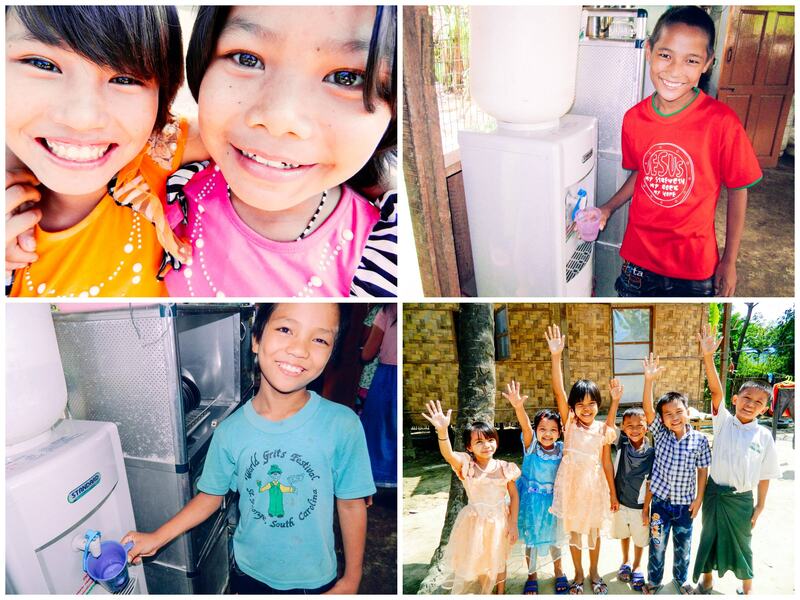 We are thankful to report that we have a new reverse osmosis water purification system at our main orphanage campus in Myanmar which enables our local team to save thousands of dollars on purified drinking water. But not only will they save money with the new abundance of clean water, they also plan to generate funding from it as well. Our team plans to bottle their own water in 15 liter bottles like those seen in the story photo. As a new business idea, excess water will be sold in the community to generate funding toward our programs. The new unit, being delivered to the orphan home any day now, will be capable of producing up to 1,000 liters (264 gallons) of clean water daily. Based on savings from not having to buy bottled water, along with profits from their own water sales, the new system is expected to pay for itself in less than 8 months. The purifier employs state of the art micron filtration that can turn the most brackish water into completely safe drinking water. It includes a 5-micron sediment pre-filter and 2 extruded carbon block pre-filters which guarantee high contaminant rejection rates and output speed. The unit also includes a water softening component to prep the water before it enters the main assembly, so as to not overwhelm the filters. For every 4,000 liters of drinking water purified, another $250 must be invested into new filters. We are providing our team with a business plan to ensure that profits from local sales of purified water are reinvested to properly maintain the system. In addition to the new water purification system, our farmland enterprise produces several tons of rice each year, and along with our piggery project, our native team in Myanmar is able to serve over 300 meals each day to orphans and staff in four different homes in the country. The farmland not only provides fresh staple ingredients for their meals, but also produces a lucrative profit to create important funding for things like school supplies for the children.